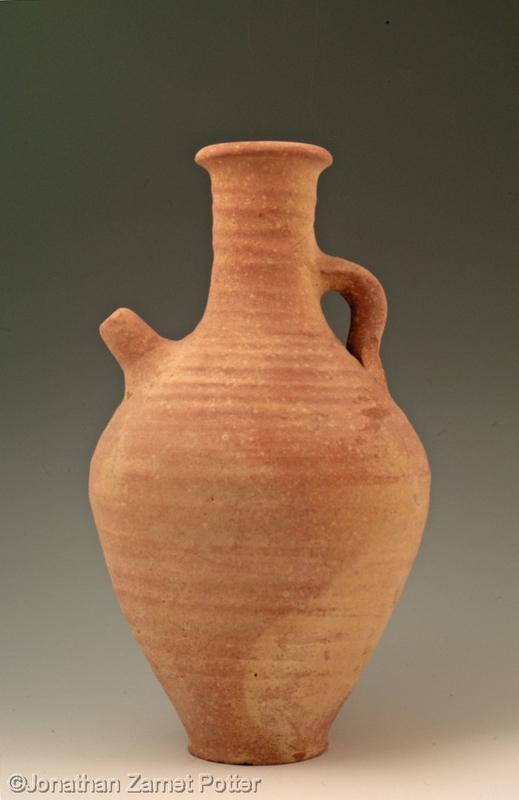 From an Arab pottery on the beach near Haifa in 1977. My brother took me there and I watched the potter throwing these pots. Very skilled. He offered me a chance to use his wheel. The wheel had one speed - flat out - and the clay was very hard - I could scarcely move it. He told my brother I had good hands but had been badly taught. Sounds like my golf game!